John Cudia, who previously starred on Broadway as The Phantom in The Phantom of the Opera, Jean Valjean in Les Misérables, and Juan Peron in Evita, sang for the crowd attending Gulfshore Playhouse's Loverly Tea event held at the Naples Sailing & Yacht Club, Tuesday, November 14, 2017. "John proudly made his Lyric Opera of Chicago debut as Curly in their production of Oklahoma! He most recently created the role of Dr. Woodly in the World Premiere of Happy Birthday Wanda June by Richard Auldon Clark for Indianapolis Opera with libretto by Indiana’s own Kurt Vonnegut. In concert, John has sung as a featured classical tenor and Broadway Pops soloist with The Baltimore Symphony, The Calgary Philharmonic Orchestra, The Jacksonville Symphony Orchestra, The North Carolina Symphony and The Detroit Symphony Orchestra all with guest conductor Stuart Chafetz." 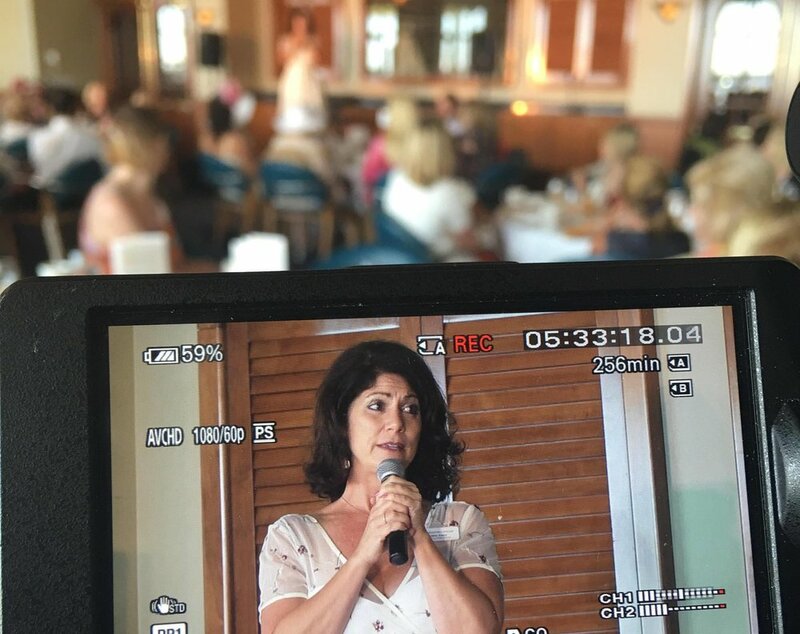 The event was held at the gorgeous Naples Sailing & Yacht Club in a room overlooking Naples Bay. Guests were treated to tea and a light lunch while enjoying the wonderful performance by Cudia, who sang a laundry list of broadway hits and other classics. Kristen Coury, Founder and Producing Artistic Director of Gulfshore Playhouse shared some exciting news as well. The land needed for the new cultural center in downtown Naples had been officially acquired and the search for an architect is underway. The announcement was met with thunderous applause. It was an amazing event and we are so grateful that Gulfshore Playhouse asked us to capture it on video. It was an experience we won't soon forget. If you have an event you would like to preserve on video don't hesitate to reach out to us! You can e-mail me at Matt@ParadiseCoast.TV or call us at 239-676-5722. Video Production: How Much Does it Cost?